Emily was a 19-year-old college student when she called home complaining of a headache. Thirty-six hours later, she passed away due to serogroup B meningococcal disease. Emily was able to donate six of her organs, together with bones and tissue, to save the lives of five others. Emily’s mother, Alicia Stillman, who graduated from Arizona State University, returned to Arizona after founding The Emily Stillman Foundation to honor her late daughter’s life. She shared the story of how Emily contracted Meningitis B and her family decision to donate Emily’s organs. She also explained the work she is doing to help educate others about the availability of Meningitis B vaccines in the United States and to encourage organ donation. 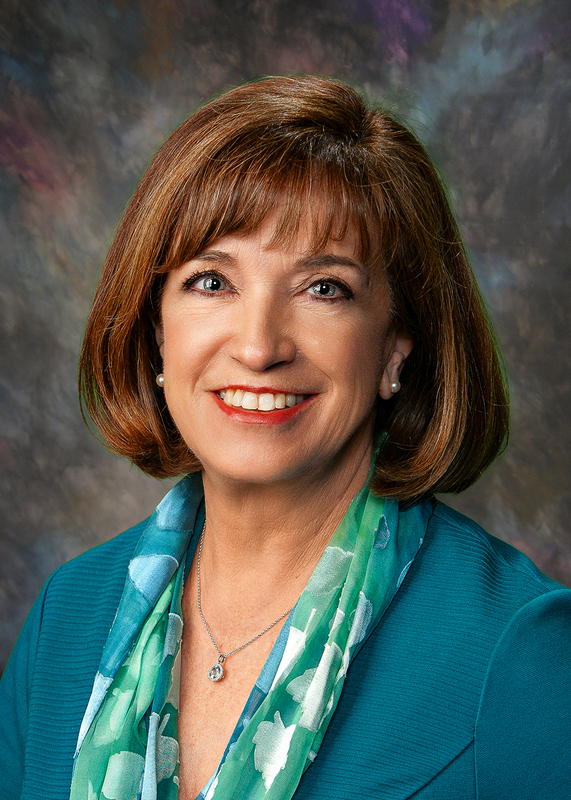 She spoke with Debbie McCune Davis, Director of The Arizona Partnership for Immunization (TAPI), who is leading the effort to increase awareness of the approved vaccine and who is working with Arizona Universities to promote the Off to College education campaign. Together these two women share a message of hope, as they work to save lives and prevent serogroup B meningococcal disease by educating parents, students, educators and medical professionals across Arizona and the nation. Alicia: I always felt I was living a blessed life. I enjoyed motherhood. I had three beautiful children, a wonderful husband, and a successful career. I believed I was doing everything right to raise healthy, independent children, as I sent each one off to college. 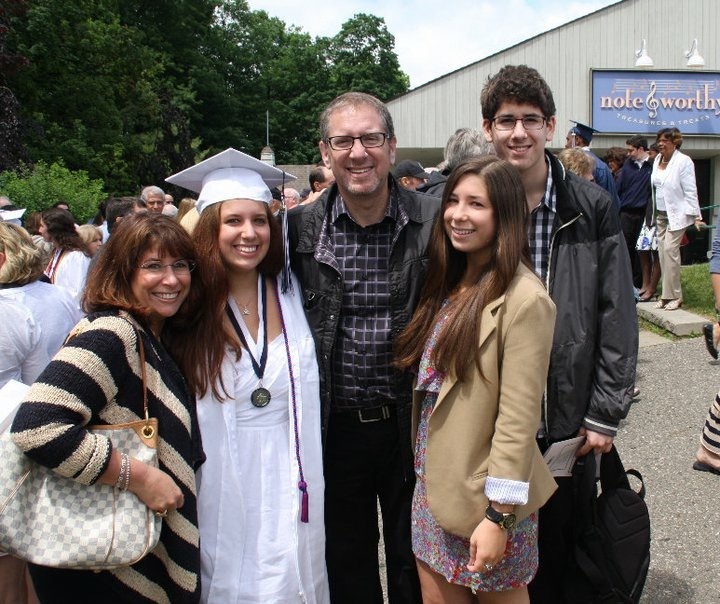 Emily and the Stillman family after her high school graduation. My middle daughter Emily had a fabulous first year away at a small liberal arts college in Kalamazoo, Michigan. In 2013, she was well into the second semester of her sophomore year when she called home one evening, complaining of a headache. Thinking it was from lack of sleep, I advised her to take some ibuprofen, and to touch base with me in the morning. Little did I know that was to be the last time I would ever hear my Emily’s voice. The call the next morning wouldn’t come from my Emily, but rather from the Dean of the College. She told me my daughter had been admitted to the hospital during the night with Bacterial Meningitis, that she was very sick, and I needed to get there as soon as possible. I remember insisting that this was not possible because even at that time, I knew she had received “the meningitis shot”. In fact, I even remembered that before she left for college, she had received a meningitis booster. What I did not yet know at that time was that the vaccine she had received (MenACWY) only protected her against 4 of the 5 common serogroups of Meningococcal Disease. I had no idea that there was a strain she was not protected against because a vaccine for that strain was not even available in the United States at that time. Less than 36 hours later I said goodbye to my baby. My beautiful girl that I had promised to always protect and take care of was gone. As I said goodbye to her on that cold February morning, I told her that I would be ok…and that I would figure this out. I would make sure this could not happen to other people. Debbie: Stories like Alicia’s weren’t preventable in the U.S. when Emily Stillman contracted and lost her life to Meningitis B, but they are today. In October of 2014 and January of 2015, the FDA approved licensing for two different vaccinations for Meningitis B. Soon after that, the Advisory Committee on Immunization Practices (ACIP) of the Center for Disease Control and Prevention (CDC) acknowledged that college age students should talk with their doctors about Meningitis B. In Arizona, our Board of Regents (the governing board of our state university system) took quick action to recommend all incoming freshmen get the vaccine. There had been outbreaks in the PAC 12 schools and Arizona wanted to promote healthy campuses. We, at TAPI, worked with the Universities, their Medical Directors and all of our professional medical organizations including Osteopaths, Pharmacists, Nurses, and Pediatricians to put forth a unified message and raise awareness. Our Off to College flyer launched an awareness campaign for parents and college age students to make certain each has the benefit of protection from all strains of meningitis. Alicia: I live my promise to my Emily every single day with my work at The Emily Stillman Foundation. Before the vaccine was approved in the U.S., I discovered the vaccine was available in Canada. We took busloads of families across the Detroit/Windsor border into Canada to get the MenB vaccine. We met with the FDA (Food and Drug Administration) and many members of Congress to urge the fast tracking of the licensing process. I testified at the CDC and encouraged ACIP to grant a firm recommendation to protect our adolescents and young adults. I set up vaccination clinics locally to provide the vaccine before medical practices were willing to hear about it. I speak nationally, working with colleges, medical practices, and parents to raise awareness to this hideous disease, its symptoms, and the vaccinations now available to prevent it. I won’t stop until the MenB vaccine is on the required list, and is available to all people. Only then will my promise to my Emily be fulfilled. Debbie: Today, we at TAPI are taking it a step further…we don’t want kids to wait until they’ve moved into their dorms to receive their vaccination. 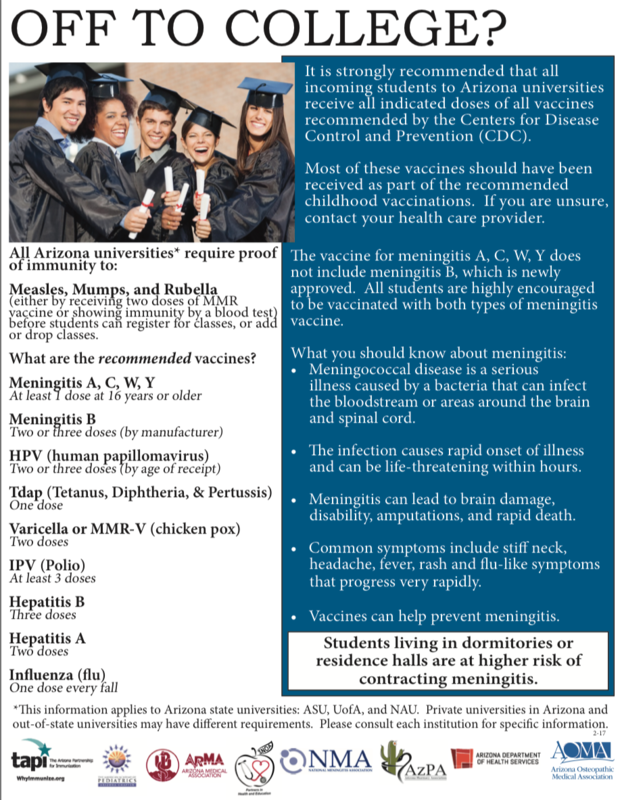 We are working with high schools, parents groups, physicians, athletic departments and more to promote Vaccinate Before You Graduate here in Arizona. 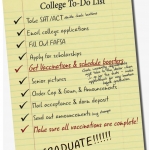 We want this to become part of the college prep routine—take your college entrance exams, turn in your transcripts, apply for scholarships, choose your school, order your cap and gown and vaccinate! As mothers, and as experts – one from a heart-breaking loss, and one as a professional who works tirelessly to prevent disease – we urge you to enjoy these moments with your child. However, as you are giving them that final send off, smoothing the bedding on their dorm bunk, stocking snacks and toiletries, telling them to study hard and have fun (but not too much fun), asking them to be safe, be sure to also give them the tools to stay healthy. Make sure they have their boosters, that they are up to date on all vaccination and be sure your health professional has given your child protection from all strains of meningitis, including Meningitis B. If your child has already started that journey and is off to college, check with the student health services at their school for information about vaccine availability on campus. Do it for your child, do it for yourself and do it for Emily. Alicia Stillman lives in West Bloomfield, Michigan with her husband of 29 years, Michael. In addition to her angel daughter Emily, she has two live children – Karly, 25, and Zachary, 21. Alicia holds an MBA in Management Accounting, and is the Accounting Director for a multi-state Law Firm. She is the Co-Founder and Director of The Emily Stillman Foundation, founded in 2014 in memory of her late daughter Emily. The Foundation has a trifold mission to raise awareness for and encourage organ and tissue donation, to educate about Meningococcal Disease as well as all vaccine preventable diseases, and to advocate globally for all health and wellness issues. Most recently, Alicia partnered with Patti Wukovits to co-found the Meningitis B Action Project. Alicia can be reached through the Foundation at emilystillmanfoundation@gmail.com. Debbie McCune Davis has served as Director for The Arizona Partnership for Immunization, better known as TAPI, since February 1996. She was an elected member of the Arizona Legislature, serving from 1979 until 1994 and again from January 2003 until her retirement in January 2017, serving in both the House of Representatives and the Arizona State Senate. In her local community Debbie serves on numerous committees and task forces, working to improve the health status of women and children in Arizona. She has established a reputation for being a knowledgeable advocate for maternal and child health and childcare issues. In 2012 she was recognized for her advocacy by the Children’s Action Alliance in Phoenix and Every Child By Two (now Vaccinate Your Family) in Washington, DC. 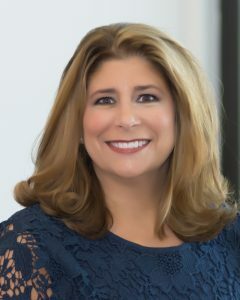 Debbie also served on the Board of Directors of the American Immunization Registry Association and she volunteers her time as a member of the planning committee of the National Conference on Immunization and Health Coalitions. She is married to Glenn Davis and has a blended family of 5 children and 3 grandchildren. 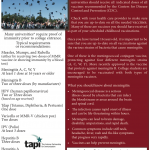 More information about TAPI may be found at www.whyimmunize.org. Thanks so much for providing individuals with remarkably superb chance to discover important secrets from this website. It really is very brilliant plus full of a lot of fun for me personally and my office peers to search your site at a minimum three times weekly to read through the fresh things you will have. And of course, I am just certainly pleased with the exceptional pointers served by you. Selected 4 areas in this posting are absolutely the most impressive we have all ever had. I precisely needed to thank you so much once again. I’m not certain the things I could possibly have done in the absence of the actual creative ideas revealed by you concerning such a area. It was before an absolute challenging difficulty in my position, nevertheless taking note of your specialised avenue you resolved that made me to leap with gladness. I am just happier for the guidance and wish you find out what a powerful job you are always accomplishing instructing men and women thru your websites. More than likely you haven’t got to know any of us.